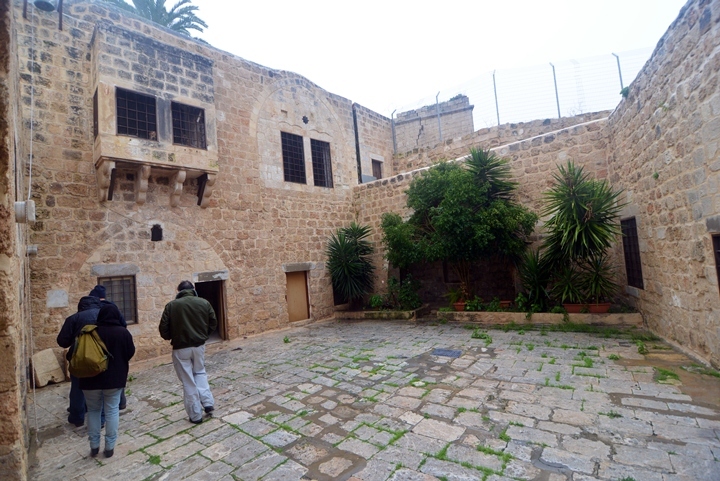 The 19th Century Armenian monastery of St. George is located in the old city of Ramla. The Armenian monastery of St. George is located in the old city of Ramla. It was constructed in the 19th Century, on the ruins of an earlier Medieval structure. 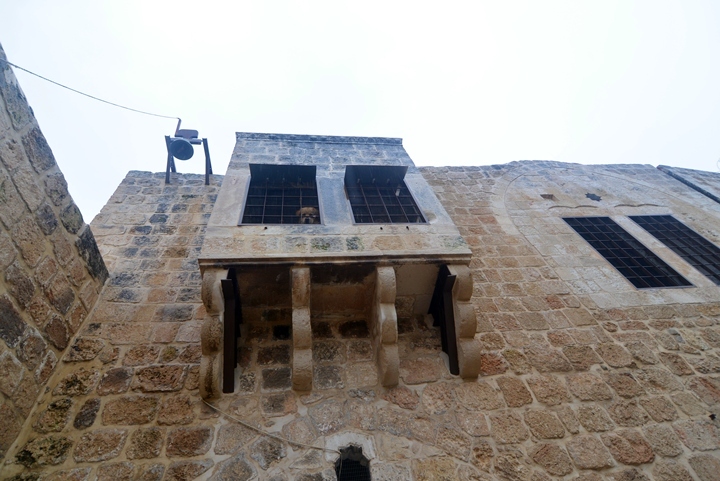 The monastery is located in the center of the old city of Ramla, on Shafiq Ades street. 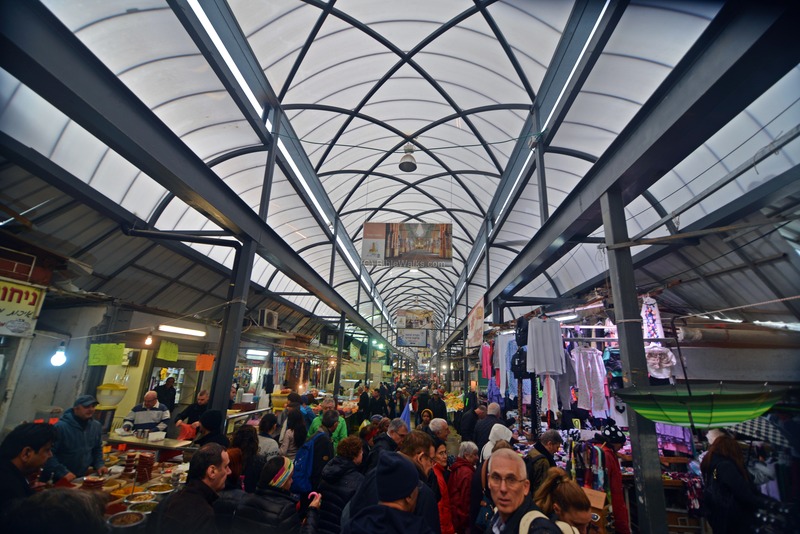 You can park in the large free parking lot on the east side of the covered city market, then walk westwards along Shafiq Ades street where the monastery is located. In the first Century the Christian apostles, Bartholomew and Thaddeus, came to Armenia to spread the faith. The transition from paganism to Christianity was a long process, about 200 years. In 301 Saint Gregory the Illuminator (257-331) was successful in receiving a royal acceptance to the conversion of the nation, and so the Armenians were the first country to adapt Christianity as their official religion. The Armenians were among the first Byzantine monks in the Holy Land. Euthymius (also: Euthemius, 377-473) was one of the most prominent fathers of the Judean Desert Monasticism, and often called "St Euthymius the Great". He was born in Melitea in Armenia to a noble family, and until the age of 29 was in charge of the monasteries in his home region. 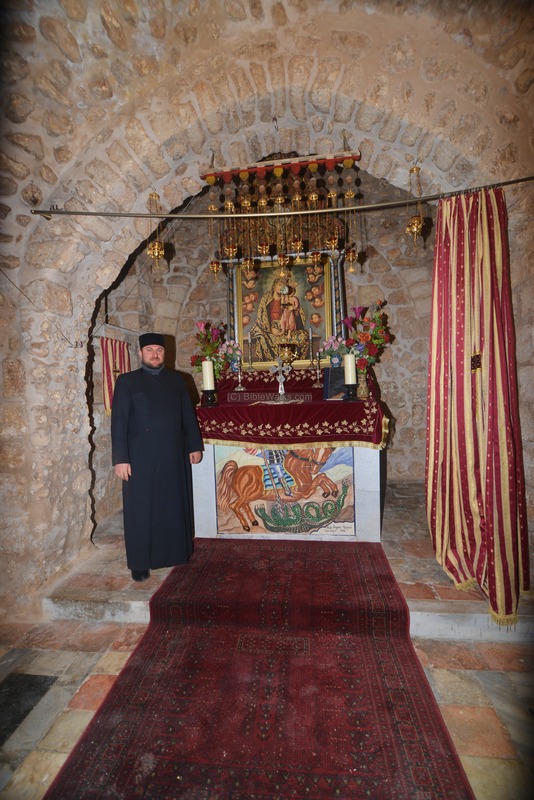 He came to the Holy Land as a Christian pilgrim (406), and then moved to the Laura of Faran (Pharan, in Wady Qilt), which was directed by the monk Chariton. After five years, at the age of 34 (411AD), he moved with his fellow hermit Theoktistus to a cave located on the cliffs of Nahal Og (Wadi Mukelik in the upper section of Og). Later, more hermits joined them to form a monastery in the form of a Coenobium - the first in Judean desert. He became famous for healing a son of a Arab leader, and many hermits gathered around him. To further stay in solitude, Euthymius relocated after 10 years (421) with a fellow hermit Domitian to the ruins of Masada ("Marda"), forming the core of a new Laura. He then moves to caves near Tell-Ziph, southeast of Hebron, where he establishes the coenobium of Capar Baricha (near Beni Na'im). 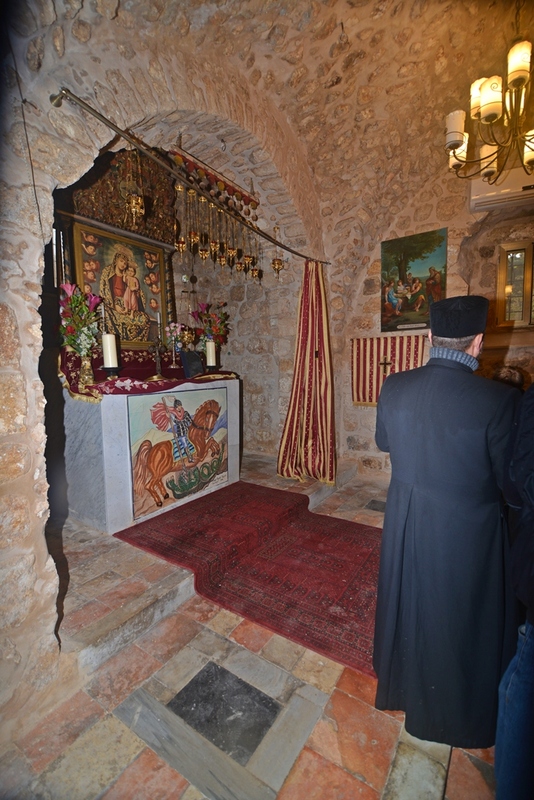 The crowds continued to follow him, so he returned to Monastery of Theoktistus. Once again, due to his immense popularity, the solitary-seeking hermit moves to anther cave west of the Monastery of Theoktistus, a site closer to Jerusalem. After more hermits joined him, he established (428) a monastery of hermits (Laura) known as the Monastery of Euthymius, based on the model of the Laura of Faran. After the Arab conquest in the 7th Century, the Armenians in the Holy Land were isolated and many of them left. The Armenians acknowledged the Crusaders with full support, such as military assistance during the siege of Antioch (1098). Armenian nobles contributed troops and supplies, and shared booty and land. Many Armenians served in the Holy Land as soldiers and farmers. The first wives of the Crusader Kings were Armenian: the Armenian princess Morphia of Melitene married the Crusader King Baldwin II (reign 1118-1131), and their daughter Melisende was Queen of Jerusalem (1131-1153). The Armenians settled in Jerusalem in large numbers. Their large quarter is located on the south western section of the old city, most of it was settled after the Armenian genocide of 1915. 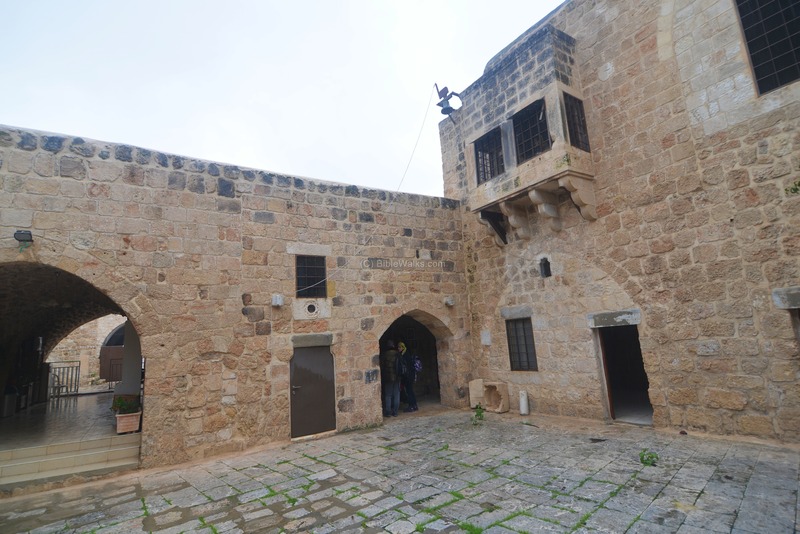 The monastery in Ramla was first built in the 17th Century on the ruins of a Medieval structure, serving as a Khan (inn). In 1843 a theological seminar and monastery was founded here. 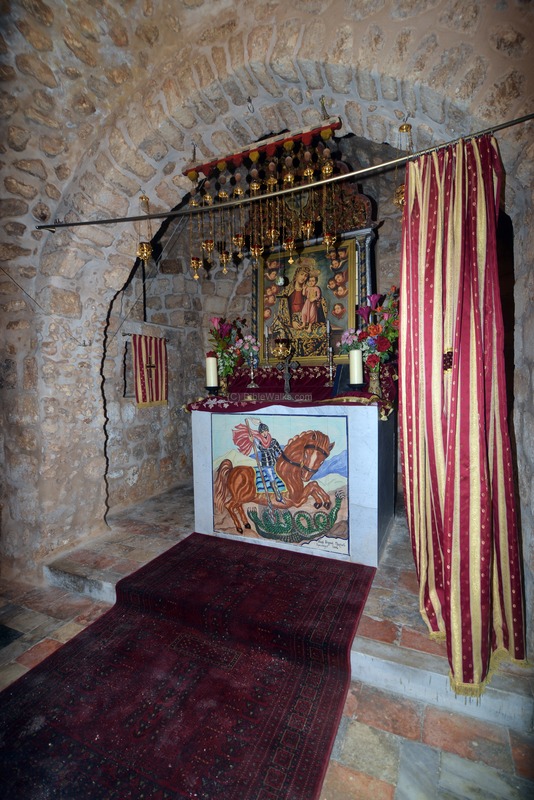 The church was dedicated to St. George, the most important soldier-saint in the Christian tradition, who was born and is buried in nearby Lod/Lydda. The famous painter of the Holy Land, David Roberts, visited Ramla in March 27, 1839 and illustrated this beautiful west view of the old city. 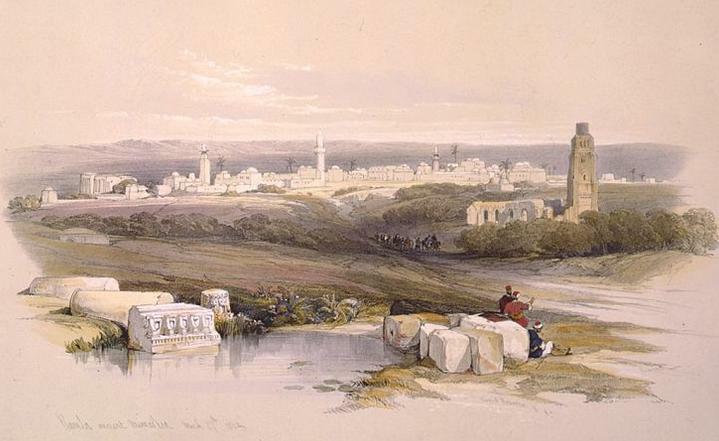 The illustration shows the ruins of the white mosque and the tower of the 40 Martyrs on the right, and the old city of Ramla in the background. The Armenian monastery is located on the same line of the high round minaret tower, in the center of the picture. 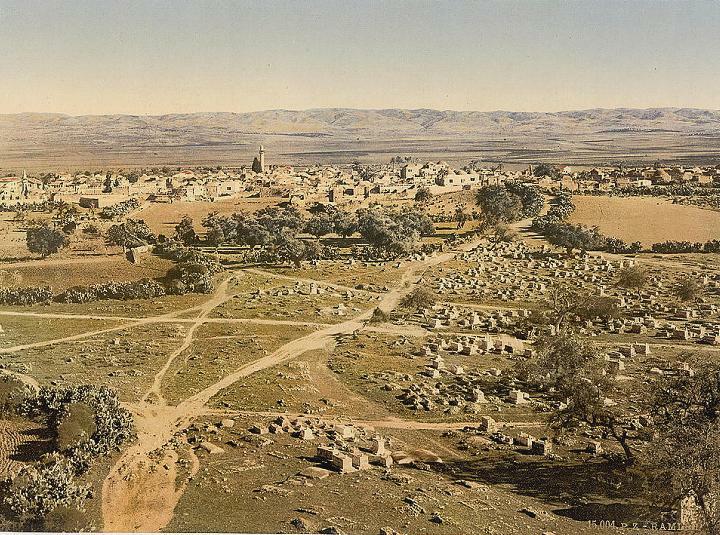 An old 19th Century photo of Ramla is seen below, as viewed from the same west side, captured on top of the tower of 40 martyrs. 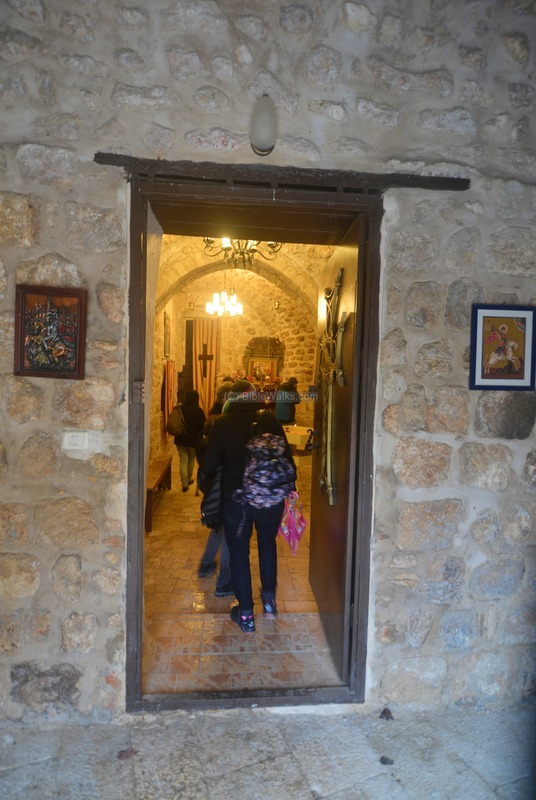 Today the monastery serves the 20 Christian Armenian families of Ramla. The monastery is open to the public only once a year, at the day of St. George (Nov 15). 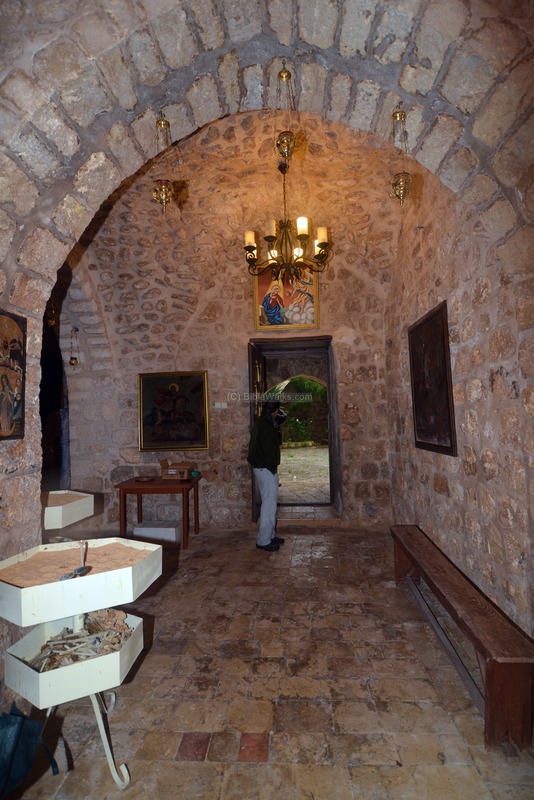 Another option is to join guided visits organized by the Museum of Ramla. The monastery is located on the south (left) side of the alley, that is accessed from the city's market. 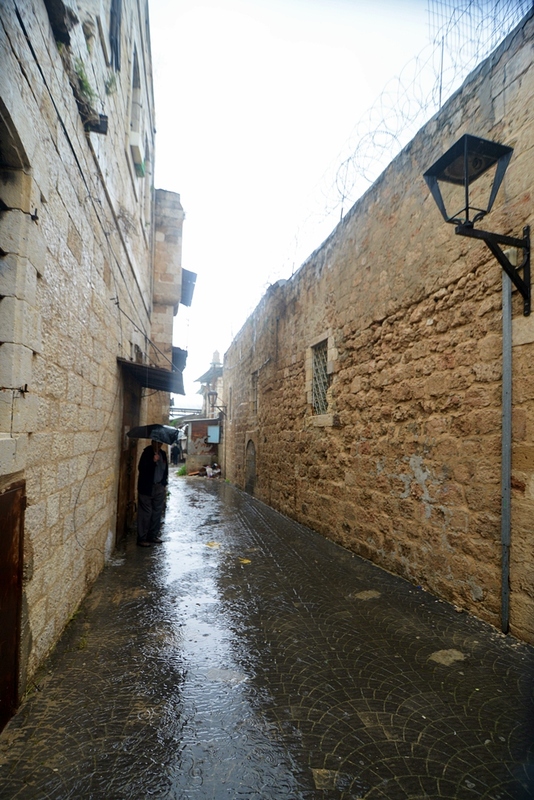 This paved alley was once the main north-south road that once passed through the city of Ramla. 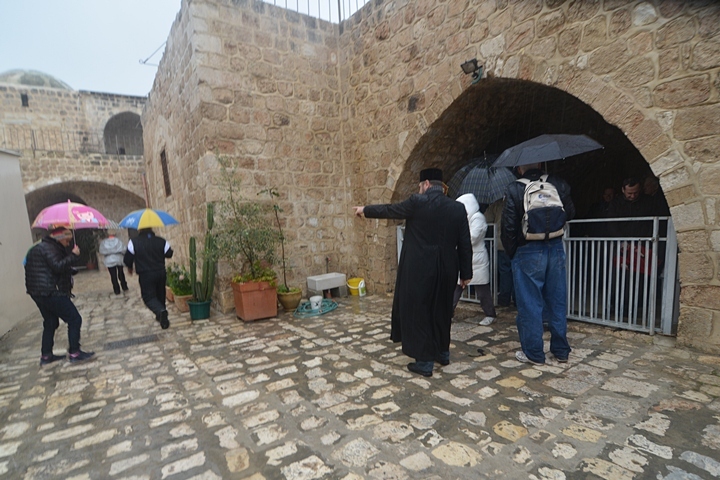 A heavy rain poured on us during the visit to the monastery. You can notice the waters ejecting from the roof pipes into the alley. From the entrance we walked into an open courtyard. The top of the dome above the Church is seen here in the background. The entrance to the church is from the arch on the right. After passing the arched passage, a small courtyard is located in front of the entrance to the Church. The entrance to the Church is through the arched opening on the right. A dog watched us from the balcony above, curious who these strangers. 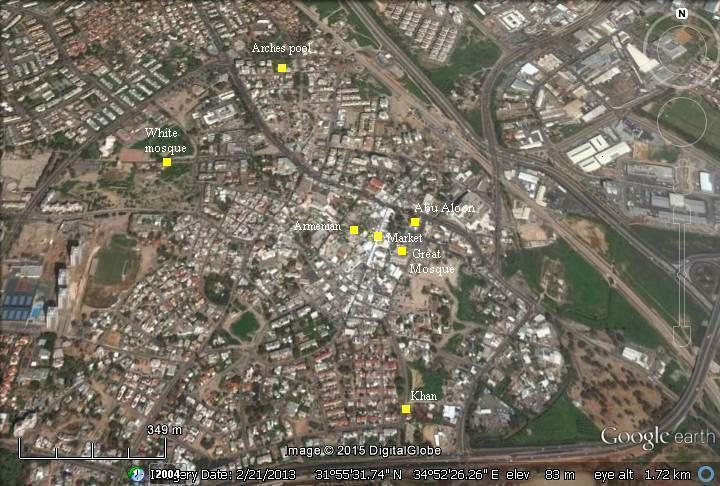 Several of the Armenian families in Ramla live here. 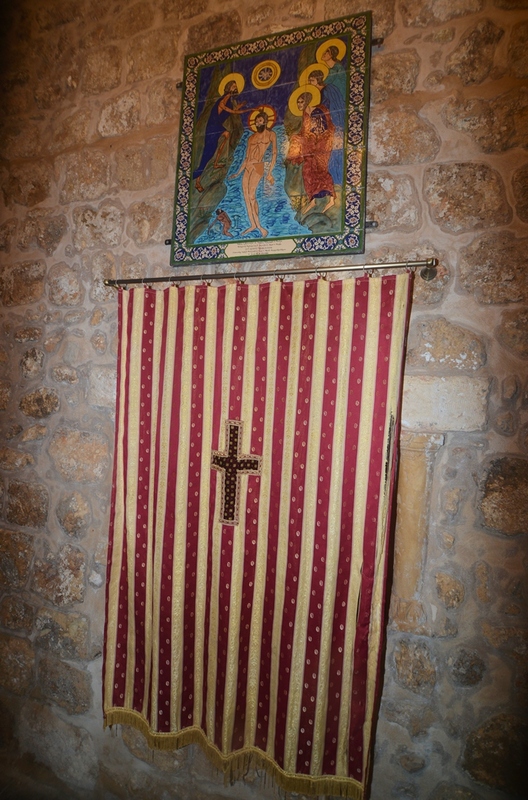 The entrance door is flanked by illustrations of St. George, who is illustrated in all Orthodox Churches as the "dragon slayer". The Armenian Church is an eastern Orthodox Church, and is based on a structure which is common in other Orthodox churches. The entrance opens to an arched room, on the north west side of the main altar. 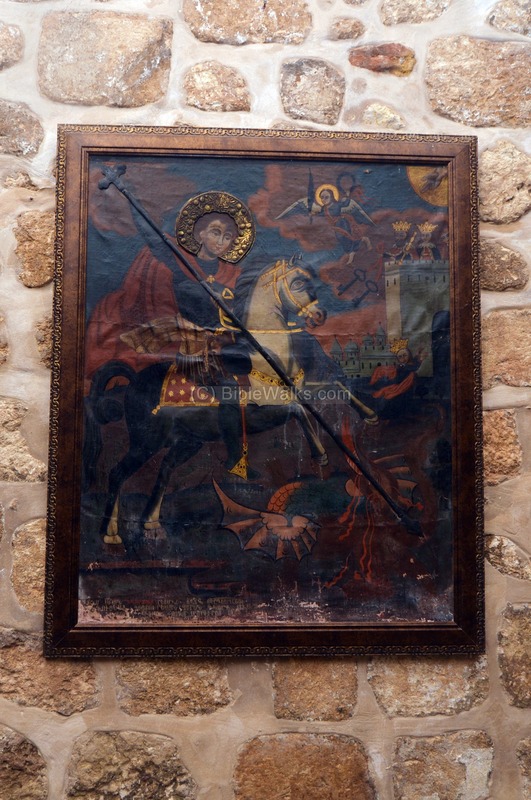 Many other illustrations of St. George decorate the interior walls, such as this one below. The dragon slaying, the common theme in these illustrations, is based on a Crusader-period tradition of an event that happened in Lebanon many years after the martyr's death. According to this legend a princess was threatened by a dragon, and George appeared and with great heroism attacked and killed the dragon with a spike. In these illustrations, a princess hides in her castle, saved from the dragon by the brave Christian hero. The angle above him places a crown over the martyr (making George a saint), with the Lord overlooking. The northern aisle is seen in the next photo. On the north wall is a curtain that hides a representation of an altar, on the wall between the east and the west sides of the church. This is an Armenian symbol of the veil (Parochet) that hid the tabernacle on the temple mount, as commanded in the Bible (Exodus 26 31): "And thou shalt make a vail of blue, and purple, and scarlet, and fine twined linen of cunning work: with cherubim shall it be made". The main altar is located on the east side, facing Jerusalem as common in almost all Churches. In this photo is the altar on the right (east) side, and the right (north side) is the tabernacle veil. The sanctuary, and the step leading up to the altar, is covered by the altar carpet. This is common in eastern Orthodox Churches. 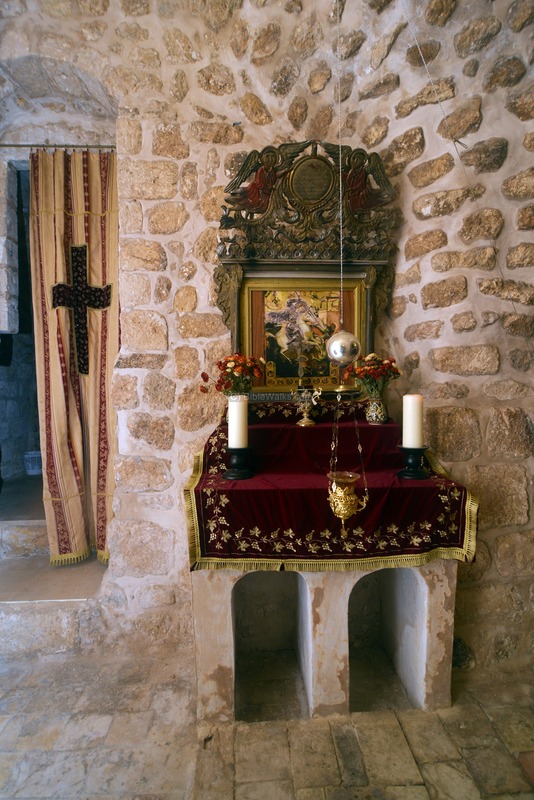 A cloth is placed on the marble altar, also common in all Churches. On the altar is the illustration of St. George slaying the dragon. The Armenian alphabet, as seen in the inscription on the bottom right side of the illustration of St. George, is based on 38 letters. It was initially devised by Gregory the Illuminator, then formally defined in 405/406. The Alphabet started with 36 symbols, and later in the 12th C additional 2 Greek symbols were added. 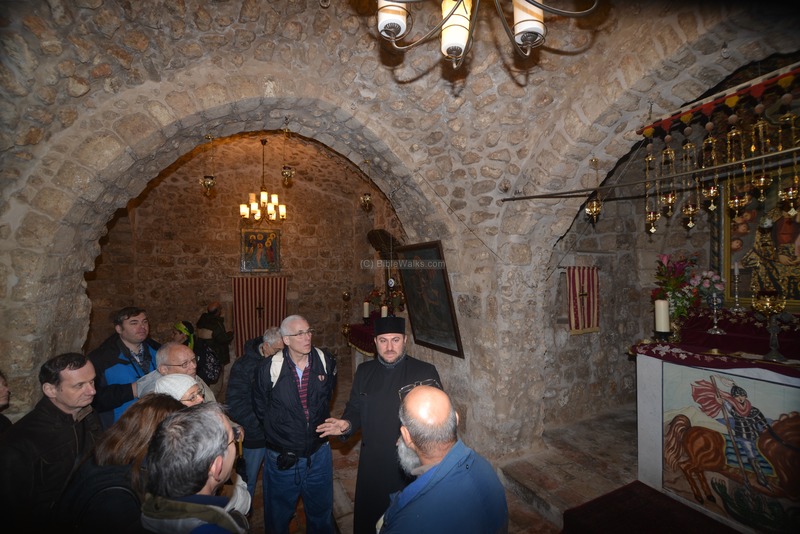 The Armenian priest, Tiran Yakobian, hosted us during the visit and described the history of the place. 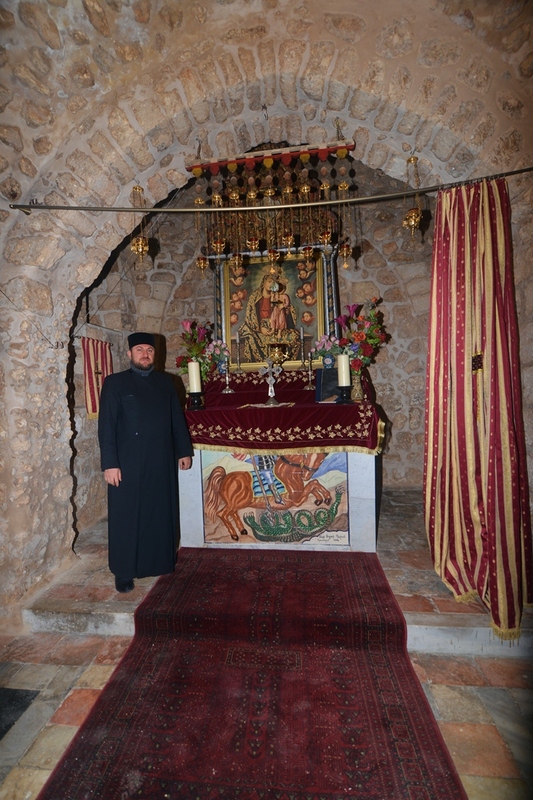 As the monastery is normally closed to the public, he was willing to come and provide a guided tour, and we thank him for this interesting tour. The monastery is located near the Ramla city market. This covered street market is a great place to take a bite on the way to or back from the tour of the monastery. You can find here tasty pastries, burek (burkeas), fruits, sweets, drinks, and more. 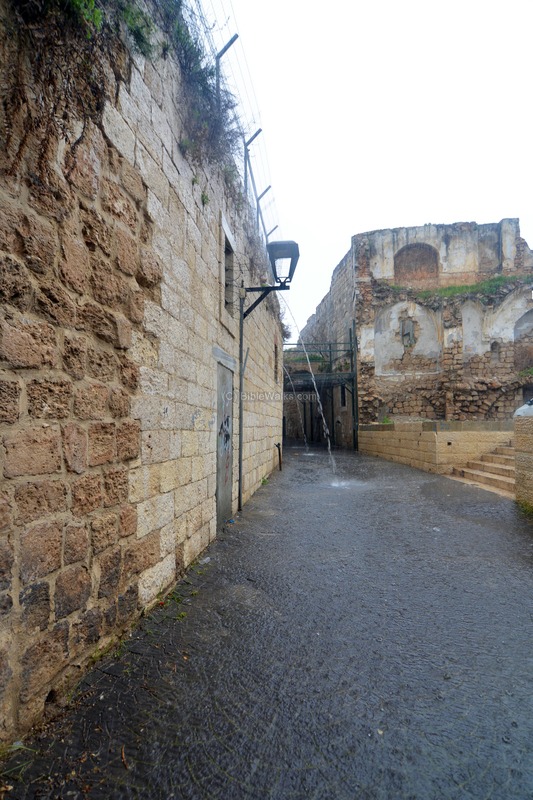 St. James, Armenian quarter in Jerusalem - In 1858 another seminar was built in Jerusalem, which is active to date. Armenian students come to study religion for seven years, then they decide on their personal career and select whether they marry or not. Jerusalem is the Armenian center, and the seat of the Armenian Patriarch.